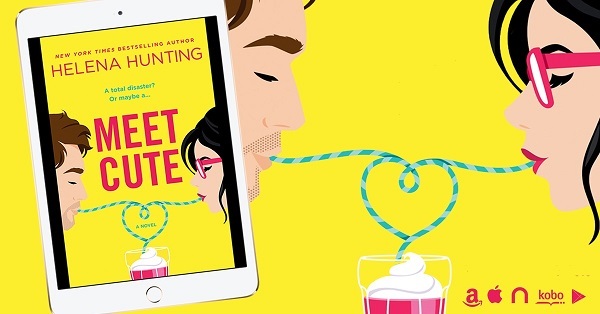 This is a cute romantic read with some lovely humour in it, as any fan of Hunting would expect. Kailyn is a successful trust lawyer, but when an old rival from law school comes in with his parents for legal advice, all her bad feelings towards him resurface. As we get to understand why this still bothers her, I have to admit I did feel she had not maybe matured as much as one might have thought! Her fandom rather supported that theory later on, but I still found her a fun lead character. Dax is now a successful lawyer, something he does in part credit to Kailyn, as she was the perfect competition at law school, forcing him to do better. His past as a child actor has never gone away, and as his character's biggest fan she embarrassed him at college. That said, he does admit that he had wanted to ask her out, but she was too fierce! As things unfold, they are thrown together with a common goal, to make life easier for his teenage sister. There are some very moving scenes, and some very funny ones – and through it all we can see how her hurt from the past may finally be put to rest. However, issues at work may well damage anything that they are starting all over again. Aunt Linda's behaviour didn't feel like that much of a surprise to me, nor should it for two bright lawyers. It was a relief when that element was resolved and the outlook for them all looked a little brighter. Overall an enjoyable read with a good conclusion and plenty of feels. This was a cute book but it took me a while to really get into it. The characters were fascinating, but I did find myself skipping parts at the beginning of the book. The latter half of the book was much more interesting to me than the world building that was in the first half. Reviewers on the Wicked Reads Review Team were provided a free copy of Meet Cute by Helena Hunting to read and review.